Three Leadership Scholarships are awarded to students from any country. Each scholarship has a value of £10,000. The scholarships are open to individuals applying for admission onto the full-time MBA or MBA in International Business in September 2011 who have an excellent academic record and who can demonstrate leadership potential. Although applications for the scholarships should be made before 31 May 2011, the scholarships will only be awarded to applicants who have accepted their offer through payment of the deposit. Applicants who hold full sponsorships are not eligible for the scholarship. If an applicant is awarded a scholarship, but subsequently declines their offer of admission on the MBA programme, the award of the scholarship will be withdrawn and awarded to another applicant. Those that apply for a Leadership Scholarship, but are unsuccessful will be automatically considered for a Director’s Scholarship. Applicants should submit a 1,000 word essay explaining why they feel they should be awarded a leadership scholarship, demonstrating their leadership potential, and outlining how the scholarship will benefit them. This essay should accompany their application for the MBA programme. The scholarships will be awarded on the basis of academic merit and demonstrated, leadership potential. In keeping with our values-led MBA philosophy rooted in the Scottish Enlightenment, we are looking for highly motivated and principled individuals who demonstrate the potential to make significant future contributions to their chosen field and the wider community. The decision will be made by a committee consisting of Directors and key staff from Admissions. If you have already accepted an offer and paid your deposit, you are welcome to apply separately for a scholarship. Please email your application with the title ‘Leadership Scholarship’ in the subject matter to [email protected] – Please ensure your full name and contact details as stated in your programme application match those on your scholarship application. The winners of the scholarships will be announced by the Business School in early July. The successful applicants will be invited to attend an awards ceremony early on in the programme. 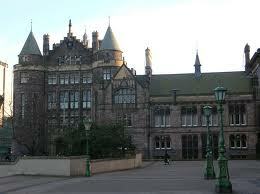 Demikianlah informasi mengenai Leadership MBA Scholarships, University of Edinburgh, UK semoga berguna bagi anda.